Handmade, one of a kind sound sculpture that belongs to the Animals Collection guitar series. The voice of young mother puma calling for her cubs was “engraved” in wood with Ezofication. This guitar “rocks” in true meaning of the word. An explosive, droning sound, a mean tone, natural sustain within feline nature. 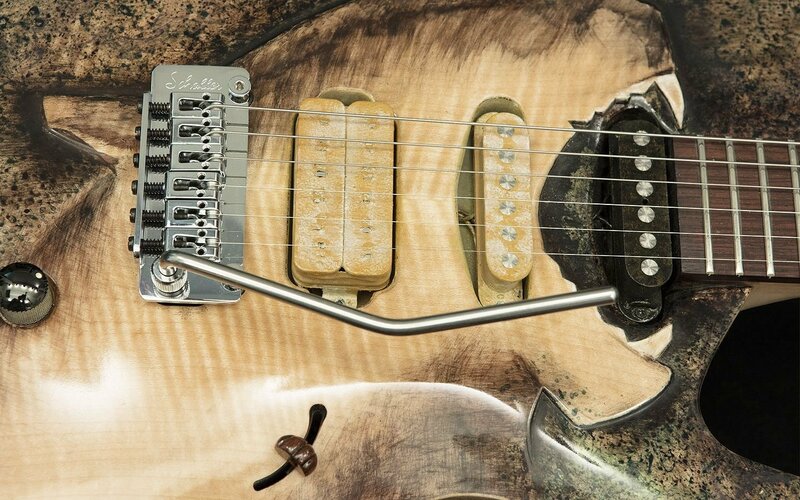 This is one guitar that can purr and roar equally. Owning this guitar is like turning into a Puma that targeted it’s pray, took the perfect grip for the right moment to attack from above.